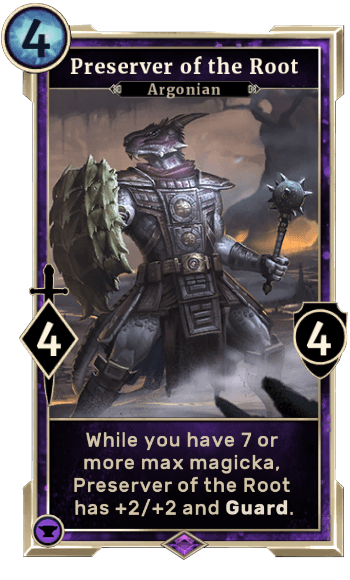 Preserver of the Root is a Card in The Elder Scrolls Legends. While you have 7 or more max magicka, Preserver of the Root has +2/+2 and Guard. So far, this one has proved as a must-have card. It&apos;s simply too good not to soul trap early on, almost ubiquitous in all Endurance decks.